The distributed ledger technology that underpins Bitcoin is showing up in a variety of places. Here's what you need to know to understand all the hype. It's no surprise that interest in blockchain is rapidly heating up, as companies scout out new uses for the distributed ledger technology that powers Bitcoin. A number of IT vendors are already testing it in their products -- in some cases, as a reaction to customer inquiries about how it can be used in enterprise security, data storage and for file-sharing. So what is it, exactly, and how can it be useful in business? In short, blockchain is a public electronic ledger -- similar to a relational database -- that can be openly shared among disparate users and that creates an unchangeable record of their transactions; each one is time-stamped and linked to the previous one. Every digital record or transaction in the thread is called a block (hence the name), and it allows either an open or controlled set of users to participate in the electronic ledger. Each block is linked to a specific participant. Blockchain can only be updated by consensus between participants in the system, and when new data is entered, it can never be erased. The blockchain contains a true and verifiable record of each and every transaction made. What makes it unique is that it's a peer-to-peer network combined with a distributed time-stamping server. That means blockchain databases can be managed autonomously without the need for an administrator. Financial services were among the first to recognize its potential -- think Bitcoin -- but healthcare IT also sees promise, as do companies with record keeping and auditing needs. 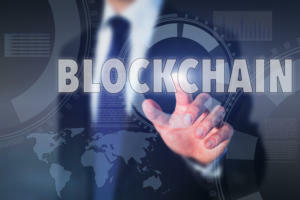 * Blockchain: Overhyped buzzword or real-deal enterprise solution? * FAQ: What is blockchain and how can it help business?